This article is part of a series originally published by the World Resources Institute by Austin Clowes. You can read the entire series here. A guitar is useless unless it plays perfectly. Even the most beautiful woods can’t make up for poor construction, and the materials chosen ultimately have to serve a practical use. 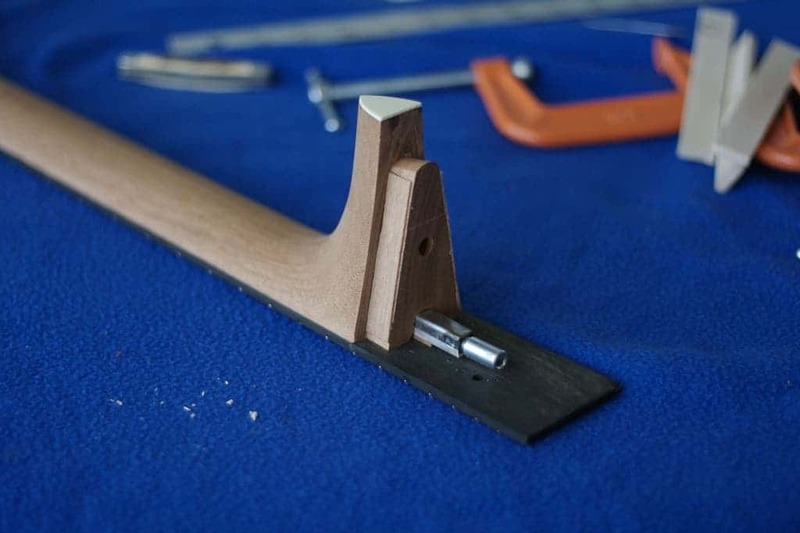 One of the most important parts of the guitar is the neck, which has to stay absolutely stable over years. If the neck bows too far in one direction or the other, the instrument becomes unplayable. The best guitar necks are made of mahogany. 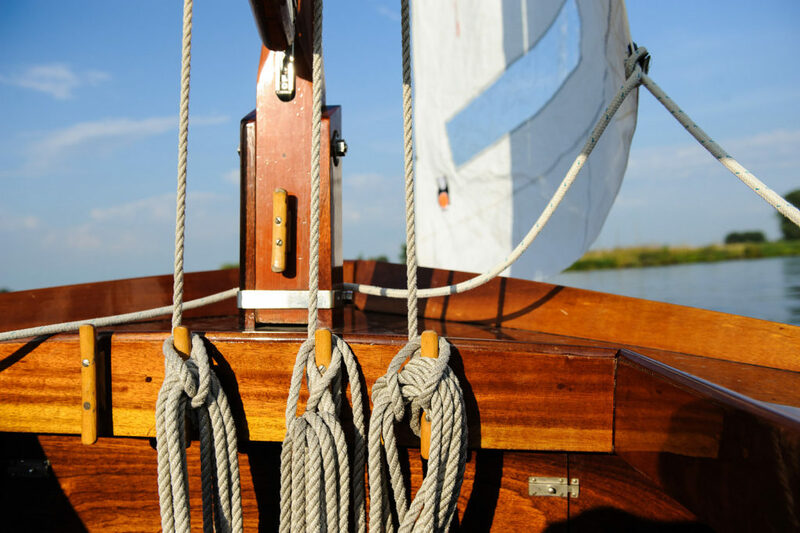 The reddish-brown wood has an interlocking grain that makes it especially resilient to changes in humidity and temperature, which would cause other woods to shift over time. Genuine mahogany (Swietania macrophylla) is native to Central and South American rainforests, and is central to the colonial history of that region. Designers like Thomas Chippendale brought fine mahogany furniture to Europe, and the exotic timber caught the world by storm. The wood became such a part of Central American history that the flag of Belize still features two loggers underneath a mahogany tree. While mahogany has a long colonial history, its sharp decline started in the 1950s as demand from the growing American middle class skyrocketed. At that time, guitar companies saw their market grow exponentially, but they also saw their costs rise as high-quality mahogany became even scarcer. Today, the term “mahogany” encompasses a wide range of tree species that span the globe. Each of these species is equally equipped for instrument making. Woods from the Khaya genus, native to the Congo Basin and Western Africa, are now as common on guitars as genuine mahogany from Central America. African mahogany is relatively cheap and abundant, and the available wood is often equal or superior to the Central American trees that remain. 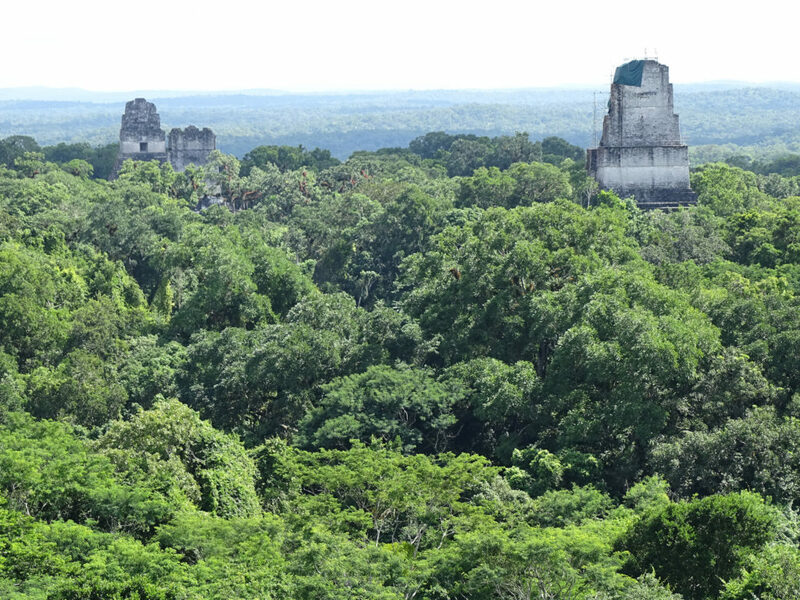 These woods resemble their Central American counterparts in both form and function, but grow so quickly that they can meet demand without severe threats to the environment. Likewise, plantations in Fiji are now supplying large amounts of quality mahogany, but at a sustainable pace. Many guitar makers have taken a stand to support sustainable community forestry programs in Central America as well. Bedell Guitars, for example, sources its mahogany exclusively from a well-respected concession in the Peten Region of Guatemala. Since their founding over 15 years ago, these areas have had a deforestation rate of nearly zero. Taylor Guitars relies largely on cooperatives in Honduras for sustainable and legal mahogany. 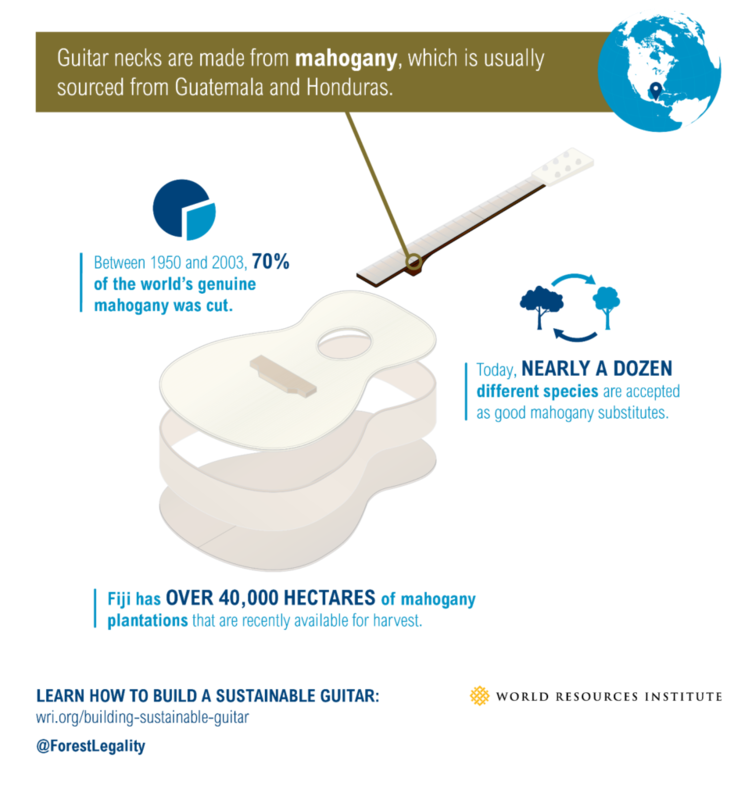 Selective harvesting from community forest concessions in Guatemala and Honduras enables the production of fine guitars while contributing to local livelihoods and combatting illegal logging. Martin Guitars supports sustainable mahogany from several concessions, and has embraced Forest Stewardship Council (FSC) and Rainforest Alliance certification. Martin even offers instruments that exclusively use FSC-certified woods. These external audits help Martin maintain high environmental standards while also reassuring consumers about their purchase. Gibson Guitars is also a large proponent of FSC-certified mahogany as an effective tool for businesses to promote sustainable use and impact local livelihoods. The guitar industry has set a great example with mahogany. Manufacturers are taking serious measures to harvest sustainably and to combat illegal logging. In the process, they are increasingly helping local communities build industry and wealth. Illegal logging is ultimately bad for everyone, and guitar manufacturers are investing in long-term solutions to the problems that cause it. As consumers, we can show our support for forests through our purchases. Luckily, mahogany has success stories in the making, but now the onus is on consumers to make informed choices when they buy instruments. Forests around the world — including those that provide tonewoods for musical instruments — face threats of illegal logging and overharvesting. The guitar industry has already proven its ability to shift supply chains and to offer a more sustainable and transparent product. Now, the pressure for change must come from informed, conscious consumers.